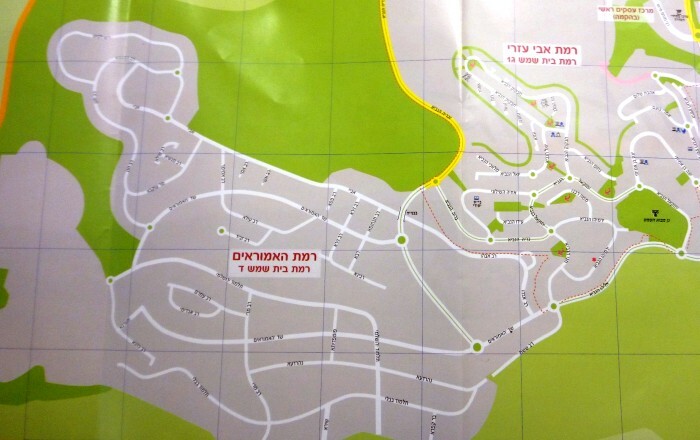 Ramat Beit Shemesh Daled is a new neighborhood in the city of Beit Shemesh. Ramat Beit Shemesh Daled is located in the southwest portion of the city, bordering the existing neighborhood of Ramat Beit Shemesh Gimmel. A total of 8,000 homes and apartments will be built in 3 stages; Daled 1, Daled 2 and Daled 3. The neighborhoods of Daled 1 and Daled 2 will each comprise of 3,000 apartments, and Daled 4 will have 2,000 apartments. 60% of the apartments will be sold under the Micher L’Mishtaken concept. Micher L’Mishtaken apartments are offered by developers via a government raffle. Israeli’s who have never owned a home before, and meet certain requirements, i.e. New Olim, Young Families, etc. are able to apply for a Teudat Zakaut. One you have a Teudat Zakaut, you are able to enter into the raffle on any project you would like. Quite a few property developers (kablanim) will be building the various developments. At this stage, The Ministry of Construction and Housing is working on preparing the roads and infrastructure for the new neighborhood. Once developers finished their architectural drawing and plans, construction will begin. Completion of the homes is anticipated to be in the year 2022. Contact us with your specific needs, so that Yigal Realty can help you find a suitable home in Ramat Beit Shemesh Daled.